If you travel around Cuba, the beautiful island of the Caribbean, colorful and sunny, cheerful and full of contrasts, it is good that you know all the possible and varied dinner options. From the most expensive and luxurious venues to the most economical and traditional ones, I will talk about some of them in this article. First of all, you can easily spot on your way the so-called “state-owned centres”, which usually offer less diversity and are generally considered as of questionable quality. Although in the touristic places these centres have products of acceptable quality-price ratio, some do not comply with this rule. Plus, the general opinion is that the service, even if it has improved, it still leaves a lot to be desired. What are paladares in Cuba? 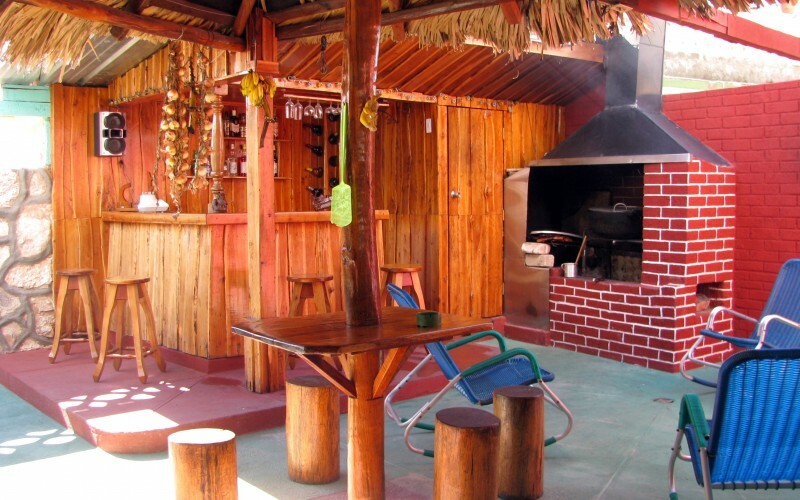 Another place where you can have a hearty dinner are privately owned restaurants, better known in Cuba as “paladares”. These are distinguished by a great variety in quality of services and prices. 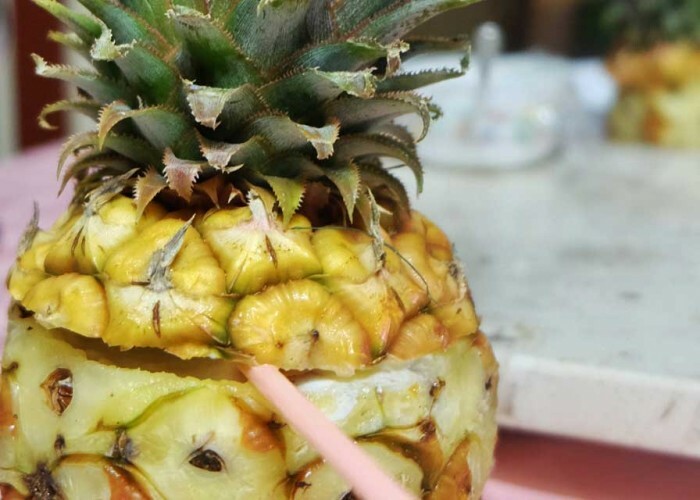 Among them you can find the most luxurious restaurants on the island, as well as the simplest and most traditional eateries. Some of them are represented by a rustic front door with a simple counter where the owners serve delicious sweets or salty snack to grab on the go. What each of these sites does guarantee you is to fill you up with dishes full of flavors and best attentions. These are quiet and personalised places. When having a dinner in paladares, you can get to know closer the people of this island who truly live day by day thinking that the next one will always be better and what really matters is to enjoy the present moment. They just pass on their joy and optimism, rhythm and colour. During your trip you will have a chance to find a pure folklore in every house you visit and in every person, you meet. 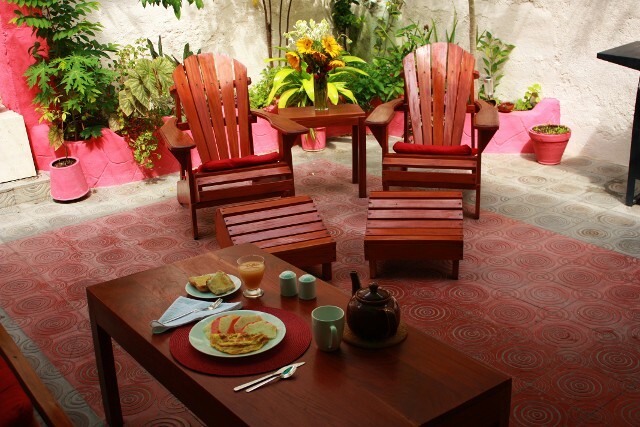 When taking trips around the cities, we recommend you to have breakfasts at the casas particulares, where you decide to stay. In general, they offer excellent, tailor-made, varied breakfasts, with salads and fresh seasonal fruits. After these quality breakfasts, usually at reasonable prices, you can complete your plan for the whole day! In general, breakfasts in the restaurants are much more expensive and they are not as varied as in the rental houses. If you are in coastal cities you will easily find specialised paladares, located right at the seaside. They are usually inexpensive, offering exquisite and fresh seafood. We recommend them most of all. Moreover, if you are in a mountain area or simply on the countryside, do not forget to visit paladares that belong to the countryman, where you can try some typical hearty meals with tachinos (smashed fried banana), yuca (cassava), congris rice (with black beans) and roasted pork (for meat eaters), which are local speciality and it’s in these places where you will truly taste the Cuban flavor, as they are prepared with the mojos* made by the countryman. Oh, and the coconut water, which you can drink directly from a coconut, with its natural freshness, freshly cut from the coconut palm tree. These are things that you have to enjoy in every place you manage to reach. Definitely, there are some emblematic places on the island that are must-see during your journey. In the magical city of Havana there are many such places, among them “Bodeguita del Medio”, “El Floridita” or “El Coopelia”. We will talk about these places in the next publications. * Mojo applies to any sauce that is made with garlic, oil, and a citrus juice, traditionally bitter orange or lemon juice. 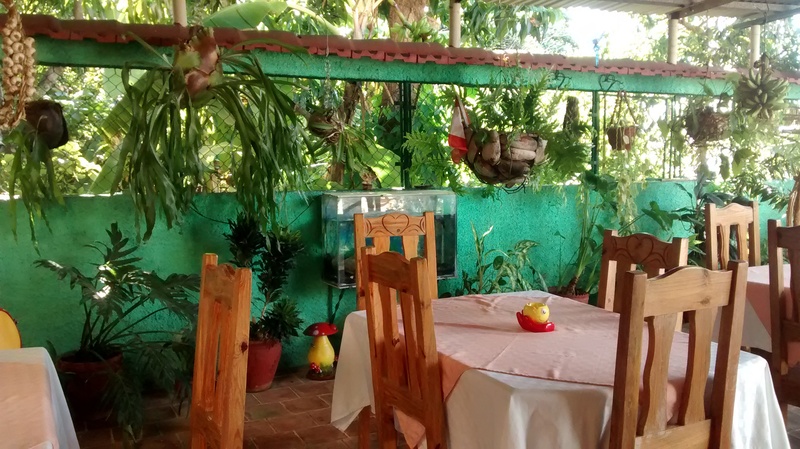 On soulidays.com you can find your accommodation in casas particulares in different cities across the island, where you can try delicious home-made Cuban dishes prepared by hosts. Restaurante en la Casa Mario y Luisa en Cienfuegos.